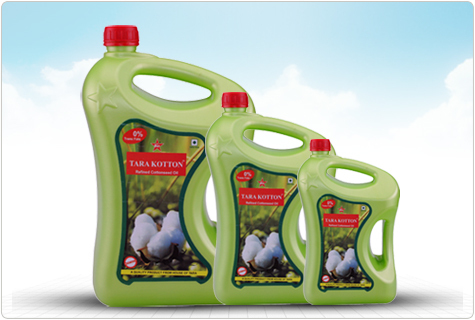 Tara Kotton Cooking Oil is a vegetable oil from the seeds of cotton plant. It is made from refining cottonseed oil. It is light in color, clear, odourless and is utilized primarily in cooking. In its natural unhydrogenated stage, it has no cholesterol & trans-fatty acids. It is rich in Vitamin K, is now being lauded for its health benefits. It is non-oily and rich in tocopherol. This product also has a long shelf life and high anti-oxidant content. It has high smoke point and hence known as Nature's unique food and fibre plant.